On Oct/11/2018 17:50 (Moscow time) Educational Codeforces Round 52 (Rated for Div. 2) will start. Series of Educational Rounds continue being held as Harbour.Space University initiative! You can read the details about the cooperation between Harbour.Space University and Codeforces in the blog post. UPD 2: I'll be on the community Discord server shortly after the contest to discuss the problems. 860 successful hacks and 719 unsuccessful hacks were made in total! Educational aka KILL YOUR RATING contest in da house again! I think it's vice versa, you can really make comeback and get new high rating in Educational rounds. Thanks to MikeMirzayanov for such a great polygon. 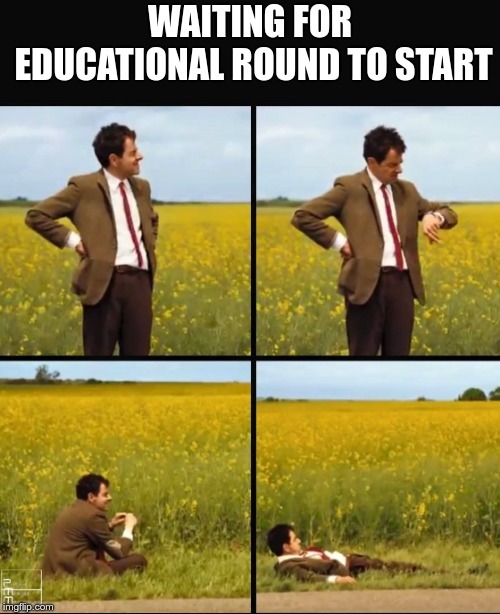 I like Educational Round very much! Will all problems be about robots? I just hope you're wrong... Though, sadly, I think you'll be right. I'd like to see a Segment Tree + DP problem, something with queries or string, or anything but math. It's like those kind of problems are out of fashion lately. Ugliness and boredom is what programmers are looking for apparently. is what programmers are looking for I guess programmers aren't looking for math. Just, they are finding only that type of problems. i cant rally undasternd if or no is rated? You always ask this question it's ridiculous, stop it please. Sorry, we had some troubles with preparing the tasks, so the contest is postponed to 14:50 UTC. Good luck to everyone, have a nice contest! First contest. Wish everyone good luck and high ratings! I'm from Viet Nam, Hello everyone, that is the first contest. Wish everyone good luck. What is happening to the contest? Statements are so short, that they don't even exist!! Wow! I'll be on the community Discord server shortly after the contest to discuss the problems. what a nice problem D is! How to solve D? (My solution is bfs with lots of states, and will probably fail). I did bfs with state = (row, column, target_number, piece). This works because you process all states with distance 0, distance 1, distance 2, and so on, so if there is another state that arrives other states (already in the queue) you can update the min number of changes of that state. What is F test case 4 ? I believe its a complicated version of this. I have draw this tree and the tree in test case 4. They are truly Homologous cases. But I cannot understand why the answer of this case is 5. You go 1 -> 4 -> 2 -> 5 -> 1 -> 8 -> 7 -> 9 -> 7 -> 10, covering all 5 leaves. I coded problem D for more than 1 hour and I couldn't submit it for 30 seconds. Took me way too long to notice that a semi-naive solution fits time limit in G (44152174) :(. What is the 3rd test case for Problem C ? Is there anyone who solved D in djkstra's algorithm? I didn't know that djkstra's can be coded with multiset XD I only used priority queue before what is faster? Well, it depends. With priority queue implementations, usually you insert a node into the queue whenever you find a better cost for that node, which can happen O(E) times, therefore your priority queue with have O(E) size. With a set implementation, when you find successfully relax a node, you look it up and update it (which you can't do in a normal priority queue). Therefore, your set will have O(V) size and usually V < E in problems. I agree many times priority queue will be faster (I personally implement with priority queue as well), but the issue isn't as simple as "it implements a strict subset of the functions, therefore it is faster". The very fact that it is not as powerful means there's certain things you might want to do, but you can not (things that would speed up your solution). What idiot wants to be hacked after the contest? In addition to the directed tree, we add an edge from each leaf to its kth parent (or the root if there is no kth parent). Now we want to find a path which maximizes the number of different leaves on it, which can be done with SCC + DP. Or for every leaf node find the node which smallest depth achievable by jumping to leaf to leaf and increase the value of that node(initial all nodes value 0). After we will do dp with our value of nodes. Btw we will do first part by segment tree+binary lifting. When you running dfs,for each node maintain two value bk(can back) and dbk(dont come back),the answer is bk+dbk. whats the logic for E? now problem reduces to find the minimum number of contiguous subsegments of array B such that sum of each segment is less or equal to k.
My solution for C got hacked but when I submitted the same solution again it's getting accepted.Can someone explain me why this happened? Not true. Tests are added to the testset during the hacking phase, but it doesn't rebuild the problem packages instantly. You can expect the test to get added to the testset in like half an hour or so. Do you know the hack for it? My binary search got hacked. I solved B using maths ,where g is the minimum number of nodes which can contain g edges and strongly connected. We know in strongly connect graph n(n-1)=total no. of edges. So by solving quadratic equation I got the value of g,and I considered it's upper bound. I hope it's correct. You have 2 strings of same size (ignore the middle position if the size is odd) and you can swap prefixes of some given sizes. Find the number of equivalent groups. First, note that you can swap the intervals between the swap sizes independently. This means you can just count the number of equivalence classes in each group and multiply them to find the total number of equivalence classes. If you have a group of size S, you have A^S classes with both sides being equal and (A^2S — A^S) / 2 classes with both sides being different. After this, you just need to multiply A^(number of characters outside of groups) because they never change. Then you can keep track of the state [node][level]. The idea is that you can hit multiple nodes from reaching a to a+1. Therefore, we denote 1, 2, ... n as a separate dimension called [level] (the target points or breakpoints we travel through) We can just update level when the node we are on matches the next "level" in the path we need to hit. And then for the inidividual nodes along the way we have another dimension [node] which is just the current node we are on. And the  is just knight,rook, or bishop. As an implementation details, by n I actually mean the total amount of nodes so n = 100. If you do this way you have to convert numbers values to row/col and vice versa. But maybe hes just trolling and didn't cheat. I think the detector ignores comments anyways. It will (indirectly) if you hack someone ranked above you. Is it possible to solve C in a fast way if we expand the restriction of 1 <= ai <= 2e5? I'm sure most who solved made observation that vertical was easier than horizontal (because the cuts were horizontal lines), but what about 1 <= ai <= 2e9, is there a good solution for it if we are forced to solve horizontally? Yeah, my solution was actually horizontal (still O(N log N) cause i gotta sort). My solution was horizontal as well, without the extra log factor because I didn't sort, but for some stupid reason I kept getting WA, so I decided to rage quit the contest and went play some Hollow Knight. Why for educational rounds system testing takes very long to start ? This round had a 12h hacking phase after which the system testing started. Yea 12 hour. But after 12 hrs it takes normally 1 — 3 hrs to start. Can we get rating in this race? This round is rated for all users below 2100. Server time: Apr/24/2019 18:37:15 (e3).